Remove the radiator opening upper cover. Refer to Front Opening Upper Cover Replacement. 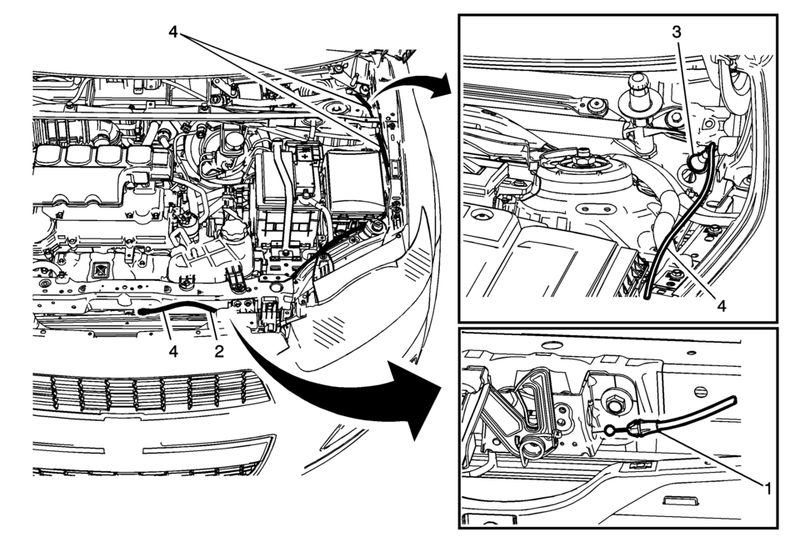 Disconnect the hood primary latch release cable from the primary hood latch. Disconnect the hood release cable retainers from the hood release cable. Disconnect the hood primary latch release cable handle from the hood latch cable. Refer to Hood Primary Latch Release Cable Handle Replacement.